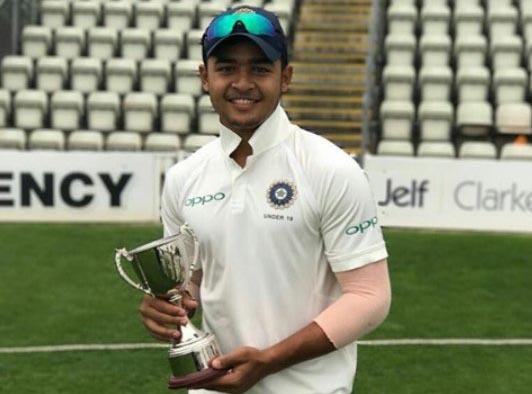 Riyan Parag, cricketer from Assam played his maiden ICC U-19 Cricket World Cup match for the country as he took the field against Zimbabwe. He also got a wicket: its Zimbabwe’s Wesley Madevere. He gave away 17 runs in his 5 overs of spin bowling. He did not get a chance to bat as openers Harvik Desai and Shubham Gill went past the 155-run target set by Zimbabwe in 21.4 overs. Earlier Riyan Parag scored three fifties in four innings during the England tour in July last year. He was appreciated for his batting style when he scored 8,52,68, 50 in two four-day matches at Worcester and Chesterfield, under tough batting conditions. He is the son of Assam Ranji Trophy Cricketer Parag Das and National Record Holding Swimmer Mithoo Barooah. Before he was three years old, he went with his father to practice at the field. He was talented from an early age and now 16-year-old Riyan Parag is in India’s World Cup Team.